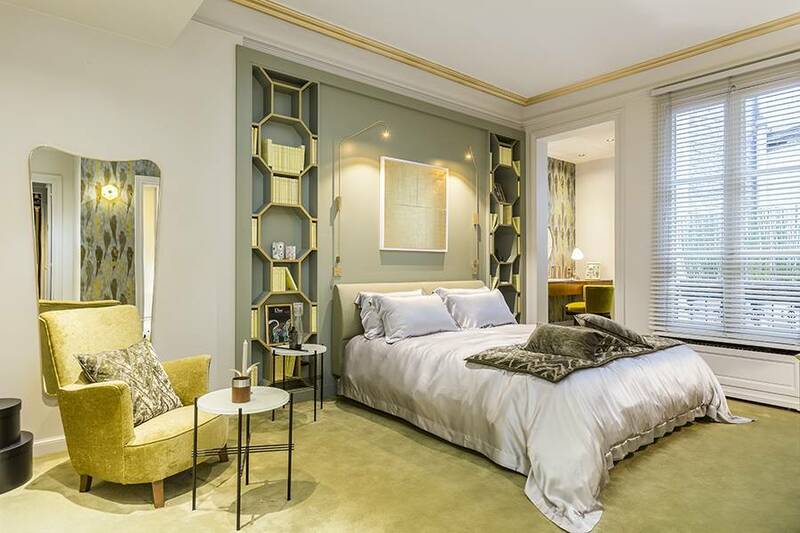 To live in Rue Bonaparte, probably the best location in the Left Bank’s iconic Saint-Germain-des-Prés neighbourhood, is a privilege enjoyed by an envied few. In Parisian collective imagination, Saint-Germain-des-Prés is literary cafés such as le Flore and les Deux Magots, and the politician’s haunt the Brasserie Lipp. The 6th District’s elegant yet bohemian ambiance is perhaps best exemplified in the Rue Bonaparte’s magnificent private mansions, set between the majestic Sénat and the romantic banks of the Seine. 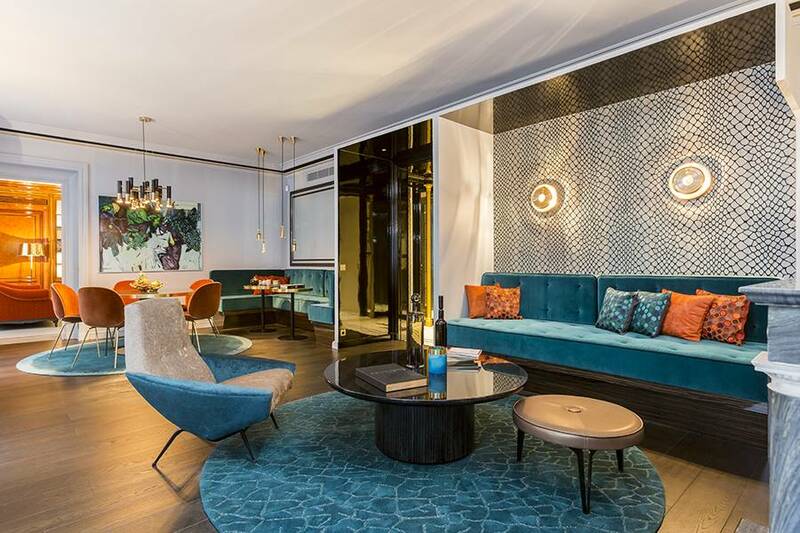 In a Haussmannian building, an exceptional apartment has been customized by Gérard Faivre, a designer whose esthetic vision reinvents the notion of luxury with nothing left to chance. 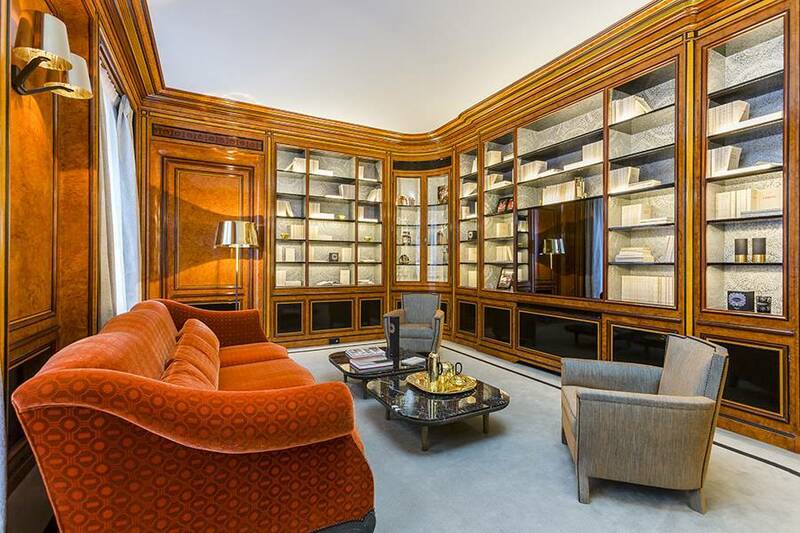 He has revolutionized prestigious real estate in the capital with meticulously renovated residences for an exceptional daily lifestyle, decorated like works of art and associated with a conciergerie service.